All of the different components in PHPFox are placed into blocks. 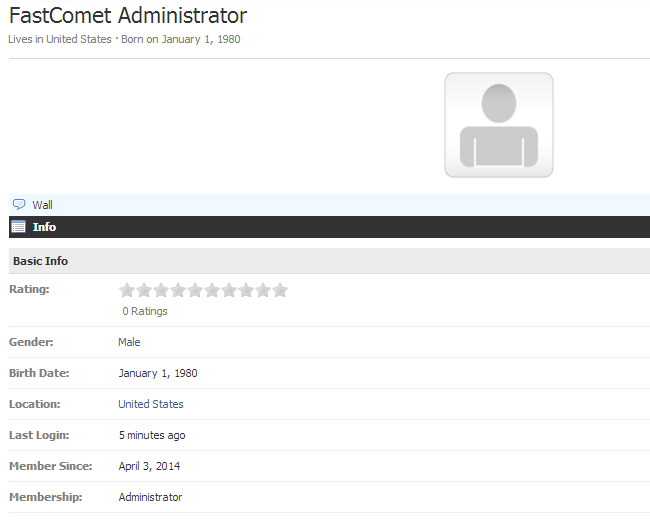 Those blocks represent positions on the page and you can assign certain content to those positions. This is a good feature as it will allow you to re-design the actual way your website looks. Select the CMS tab from the main menu and then Blocks > Manage Blocks. 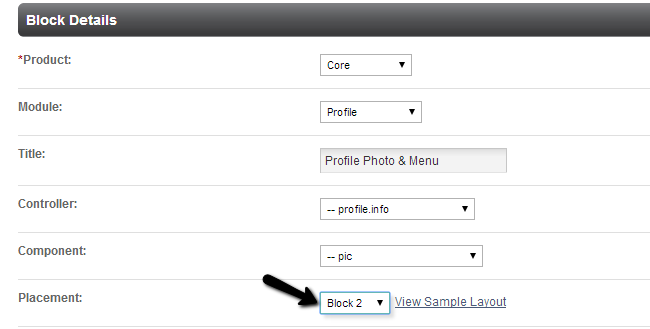 For the purpose of this tutorial, we will move the Profile Picture and the Profile menu from the left block to the center. With the default installation the profile looks like this. 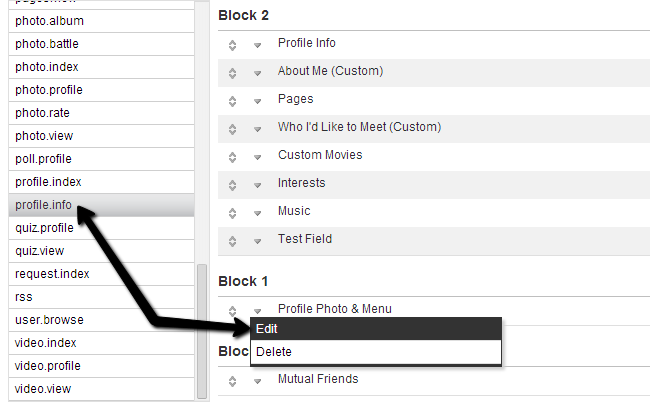 Choose the Profile.info controller from the list of available options and then click on the arrow drop-down box next to the Profile Photo & Menu block and Edit. Change the Placement option from Block 1 to Block 2. You can review the different block positions via the View Sample Layout button next to the drop-down box for Placement. 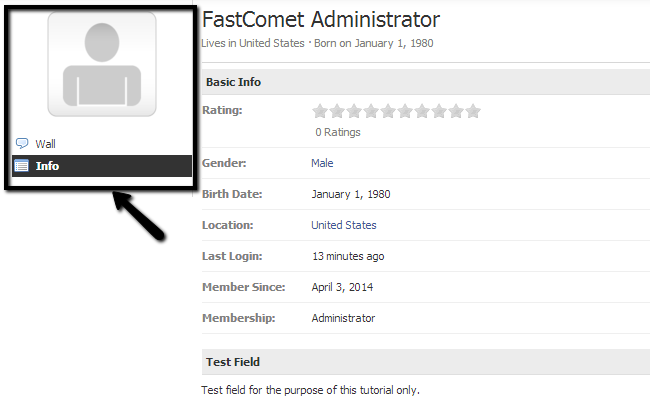 Once the changes have been made, you can check the Profile page again from the front-end of your website. The block will be moved as per your needs.